There have been burials in the area around the church for at least 700 years. We are unaware of any records prior to when the registration of burials became the law in the 16th C. For St B’s, records exist of most (but not all) of the christenings, marriages and burials from 1562. 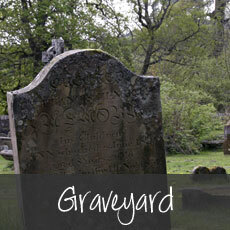 In addition we have lists of the more than 600 gravestones which physically exist. 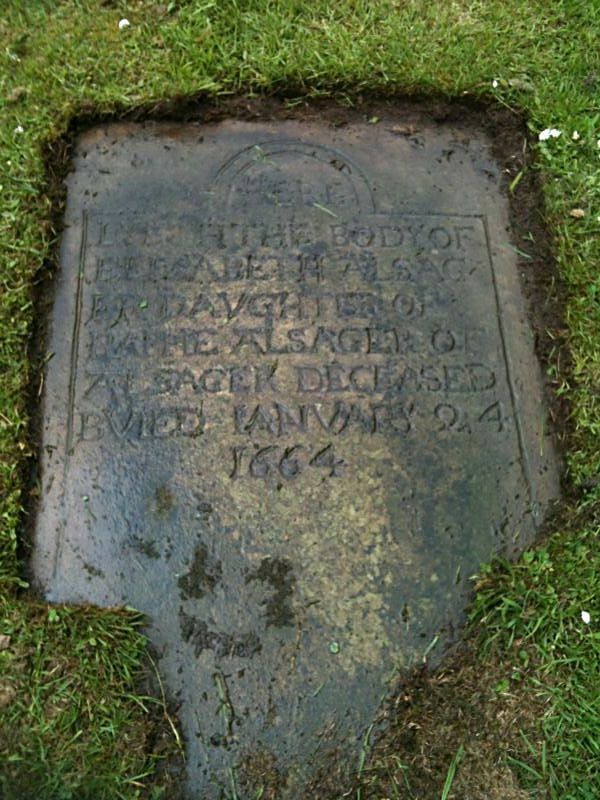 The oldest grave with a date is for Elizabeth Alsager from December 1664. If you look at the inscription you can see that the carving has been changed from DIED to/from BURIED. Many of the gravestones which lie flat on the ground are covered in moss and grasses. 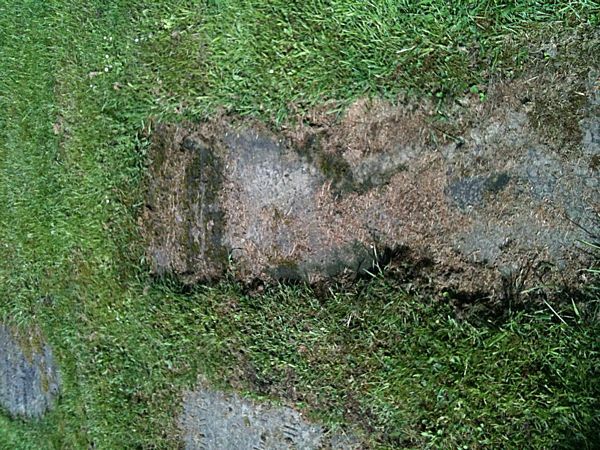 This picture shows the grave before it was cleaned with water and a scrubbing brush. The gravestones which form the path around the church were originally on the floor of the church. These were relaid during the 19th century. This grave is at the northerly end of the path running along the east end of the church. There are a number of wall mounted memorials inside the church including a number relating to the Crewe family. These are more fully described in the booklet available inside the church. The brass plaques to the right of the door as you leave the chapel are of the Malbon family. The plaques were originally on graveslabs now forming part of the path around the church on the north side. They are believed to be the oldest gravestones now visible. In the Crewe Chapel on the south side of the altar are three stone monuments. The one against the east wall of the chapel is of Robert Fulleshurst who was rector before the Reformation. On the north side is the alabaster effigy and tomb of Sir Robert Fulleshurst which dates from 1390. In the middle of the chapel is a white marble figure of Sybil Marcia, first wife of the Marquess of Crewe who died in 1889 at the age of thirty. The sculptor was Sir Joseph Boehm, Queen Victoria’s sculptor. The other monument here is for Anne, wife of the 1st Baron Crewe who died in 1711. Barthomley Parish once encompassed the towns of Crewe, Haslington and Alsager which means many families have an interest in their ancestors’ graves even though they no longer live in the parish. We also get many visitors to the graveyard from overseas and occasional telephone enquiries. We have transcribed the burial information in the’Grave Book’. This is a handwritten record of the visible gravestones in the churchyard, but intend to check all of inscriptions and include all the other names in the database.